Earn Continuing Education credits for taking the courses! The global economy has raised the stakes in standards development. Companies are competing for widespread adoption of their technologies, and the race to develop globally accepted standards has reached new levels of competition. Educational institutions are woefully unprepared to teach our college students about Standards and the role they play in global trade. New engineers are entering the workforce without a basic literacy of standards. At the same time, retirement of the Baby Boomer generation is diminishing standards literacy from the workforce. According to the Pew Research Center, 10,000 people will reach retirement age each day for the next 19 years. This prediction translates to a startling drain on the institutional and corporate knowledge base. Our Standards courses address that drain, and helps the U.S. become more competitive in the global economy. "An understanding and awareness of standards is essential for success in today’s global economy. Organizations in both the public and private sectors are constantly challenged to provide their employees with standards education, and these courses meet that challenge." If you're looking for Standards Education, you've come to the right place! We provide Standards Education to companies who use standards, colleges and universities and Standards Development Organizations. Read the latest in industry news, new products, and grants awarded. Intellectual Property Protection - the New Corporate Imperative. Stop infringement today. 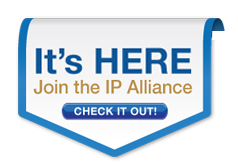 Protect your copyright by joining the Standards Alliance.